Let us create history together - again! 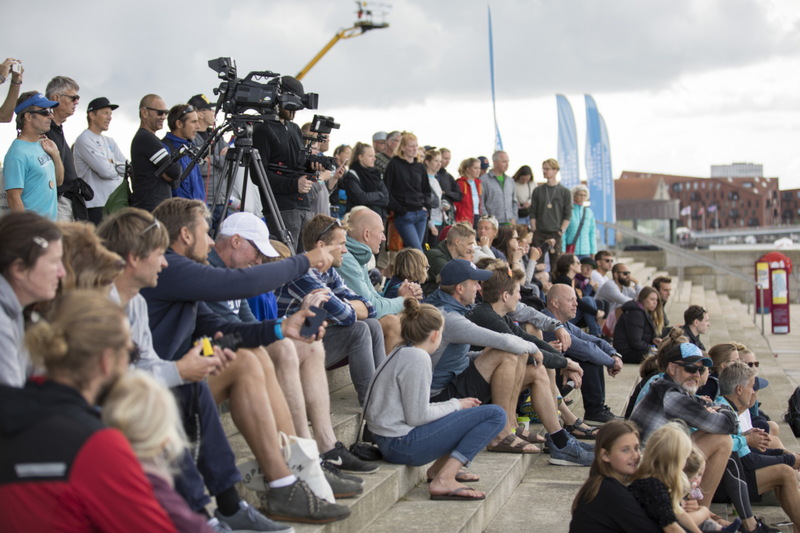 We want you to be part of this public social SUP event – CPH SUP CHALLENGE – a 5K SUP course around beautiful Amager Beach in Copenhagen. Everybody can join! 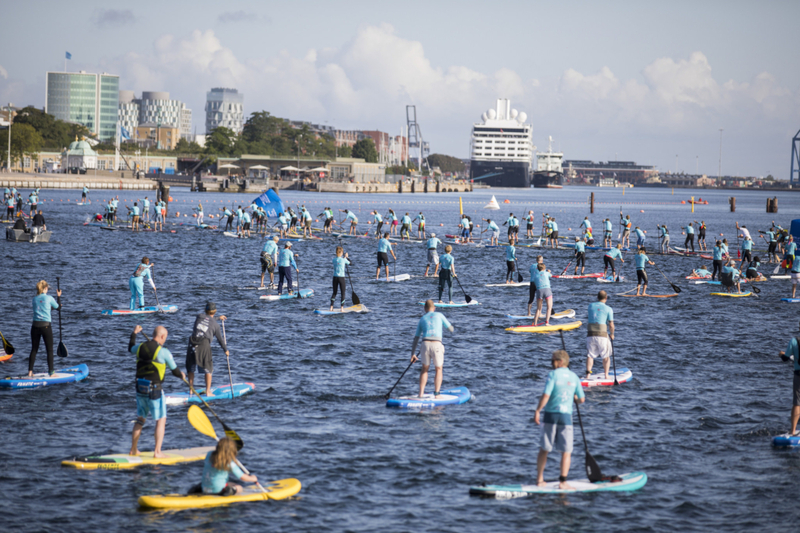 In 2017, we made history by making the biggest public SUP event in Denmark ever with more than 250 padlers on the water during Copenhagen SUP Crossing. Can we make a new record in 2018? It doesn’t matter if you’re amateur or professionel – everbody is invited! 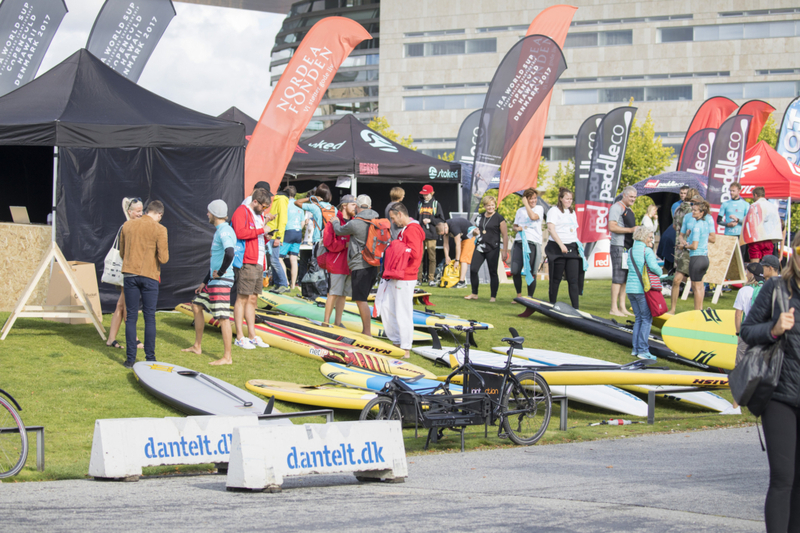 CPH SUP Challenge is taking part during the Danish SUP Championship 2018. Get a view on the race course and all services; registration, parking, competitors area, food and drink area, toilets etc. You can click on each element and get more information. Below you will find important practical information to you as a competitor. Please do not hesitate to contact us if you have any further questions. Registration is mandatory as you will get your race bib. 17.30: BBQ (BYO – Bring your own) (event organizers will provide simple salads, bread etc.) at KiteCPH and Kajakhotellet. INFO: Please note, program is subject to change so remember to keep yourself updated on the page and through the Facebook event page. You can park and unload your equipment on the parking area just east of Kajakhotellet. You will see the signs and parking lot when you get there. If there are no spaces you can park on the street at Amager Strandvej. Please see map. Inside Kajakhotellet we will offer an area where you can drop off your bag. We though advise you only to bring a small bag to this area as we have limited space. You can buy cold and hot drinks in the café at the event base; Kajakhotellet. Enjoy your drinks while you check out the brand new and very beautiful terase on top of Kajakhotellet. You’ll be able to watch the whole course from there. At 5.30 pm we will start the BBQ. The concept is BYO (Bring Your Own). The organizers will provide simple salads, bread etc. There will be toilets available at the event base; Kajakhotellet. We will honor the winners in each category. The price ceremony will be at the event base; Kajakhotellet, at 5pm. Please attend the session so that we can get an awesome picture of the year. After the price ceremony there will be BBQ at 5.30pm. 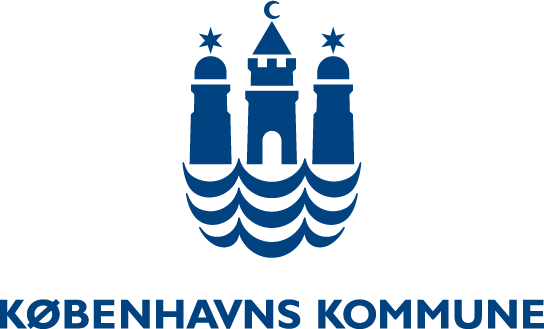 The event base will be at KiteCPH and Kajakhotellet at Havkajakvej 2, 2300 København S. We will setup an area on the beach for competitors. You can drop of your board in this area and stay there until you have to get on the water. The safety briefing will be at the beach shortly before the official start. Please help us start the race on time by being ready after the safety briefing. The course is a 5.5K loop course. 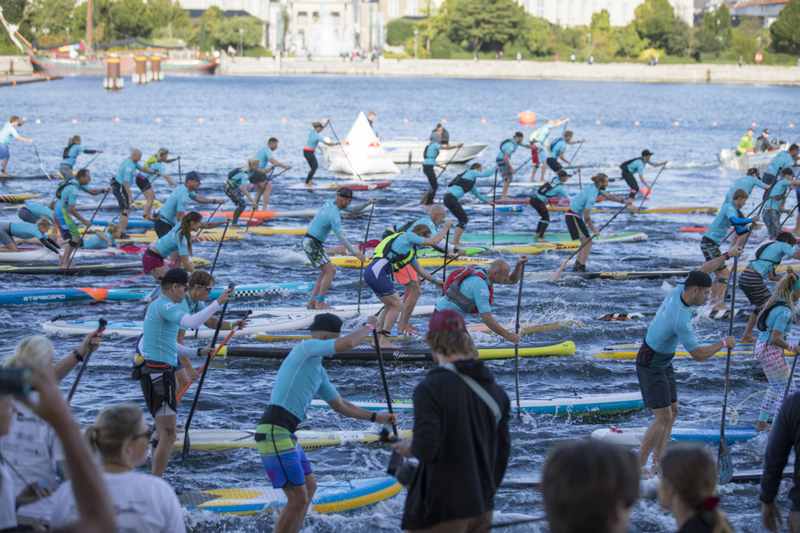 As a CPH SUP CHALLENGE competitor you’ll only have to paddle the course one time. The start will be at the beach followed by a right shoulder buoy turn towards the inside channel of Amager Beach. 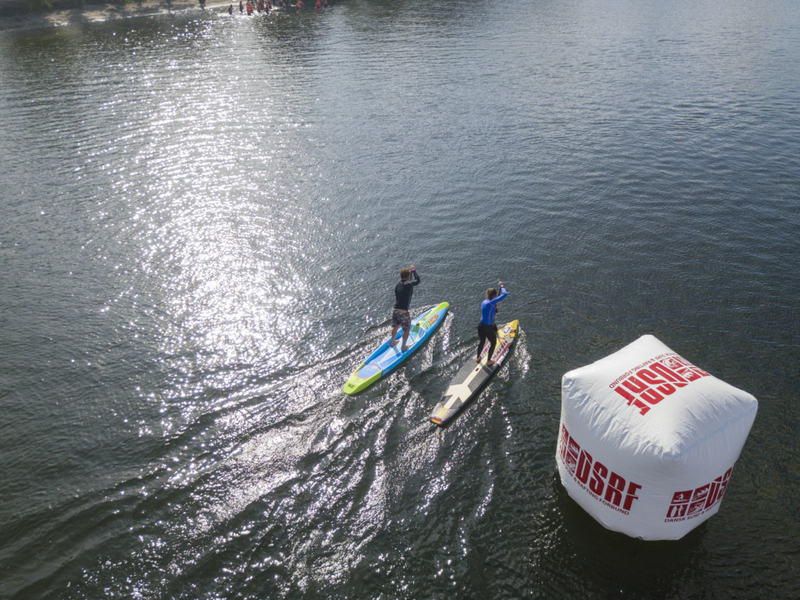 In the inside channel you will pass the event base; Kajakhotellet, which will act as the finish line after you have paddle the whole course around the artificial Island. You can bring your own board. If you don’t have your own board you can rent a board very cheap from Kajakhotellet. The price is 100,- DKR or 150,- depending on what board you want. Please choose this during your registration. Board limitations are less than 14′. It is mandatory to carry a leash. At registration, you will get a lycra with a number. You will need to give back the lycra after the race. There will be people in the finish area that you can give your lycra. You have to wear your race shirt during the whole race. At registration you will get a sticker that you need to put on your board. The safety briefing is at 1.40pm on the beach – please attend this session. Leash is mandatory. You will not get permission to start without a leash. 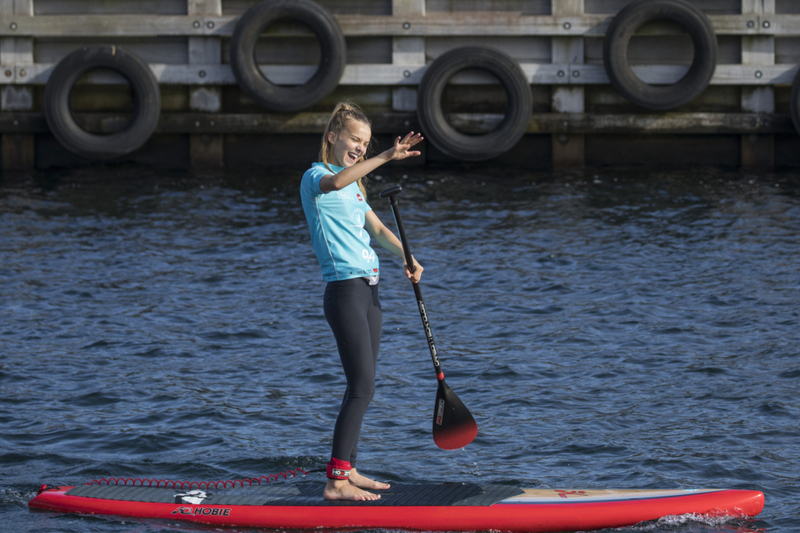 PFD (Personal Flotation Device) is optional we though recommend all under 18 to carry a PFD. Remember to dress accordingly to the weather conditions and know your own limitations. Be aware of your fellow paddlers and follow any instructions given from lifeguards on the beach. During the race, there will be a safety boat in the water. If you get in any trouble it is there to help you so please create any attention towards it or anyone else by waving your paddle or hands. There will be normal first aid kit at the event base; Kajakhotellet, in case you need any care.